What Is PanelBase? A Legitimate Survey Site!? Last updated on September 14, 2018 By Nat Leave a Comment This post may contain affiliate links. We appreciate you supporting Rags To Niches! Full disclosure here. What Is Panelbase About – Is It A Legtimate Platform? Panelbase is a survey related site that has some additional features, such as focus groups and the option to earn through telephone/mobile interviews and even via the mail. Income Potential: pocket money – Paid Surveys, plus focus groups, telephone/text interviews/product testing/prize draws. Overall Rating: A legitimate online paid survey site – one of the best online survey platforms in the UK and one that boasts some of the highest rated feedback from members. Worth checking out if you’re looking for a solid survey panel. Another perk is, you get a £3 bonus just for signing up. Get a £3 Sign Up Bonus Here. I will say now, I’m generally not a big fan of survey sites because the income potential is very low – but that being said, some are better than others and you can still earn a small amount from them. I’ve had many friends who do them regularly and are happy saving up their earnings and making the odd £50 here and there… enough to help towards a meal out, or a day out somewhere. Survey sites are incredibly popular and it’s understandable why they’re appealing – as it seems like you’re making money for doing very little. The problem is, the actual time it takes to accumulate enough money to withdraw can be an incredibly long time and because survey sites have a screening out problem, (where you don’t qualify) the time taken can be much longer than you think. This aside, my first impressions of Panelbase was pretty good. Actually, it is not just a survey site, they provide other ways to make money too. Although, not as much variety as a site like Swagbucks – I think having some variety is beneficial. Typically surveys range from 25p to £10 and last from between 2 and 20 minutes. As well as receiving money, you are also entered into their monthly prize draws. You can expect most surveys to pay at the lower end of the scale, (£1-£2 in many cases). You can also sign up to mobile, telephone or postal based research, join focus groups, (that pay up to £50 for your time) and have the opportunity to do some product testing. Once you reach their £10 threshold, you can withdraw straight into your bank or exchange for a variety of high street vouchers. My Top Extra Income Sites! Before you even take a survey, you are given £3 right into your account just for joining. This is a nice touch and at least makes you feel you’re on the way to that first £10! After signing up, you will need to wait for them to send you your first survey via email. In order to qualify for the most surveys, (and not get screened out) you need to complete your profile that answers a whole host of questions about pretty much everything. I really dislike this process as I have not found it makes ANY different to the amount of surveys you’re screened out of. I sometimes wonder if this isn’t just a way of gaining a lot of information from people and little to do with finding appropriate surveys for people. Nevertheless, after signing up – I was sent my first survey within about 10 minutes. This was super fast, as I have had to wait many days on some occasions. For the first survey, I asked 2 minutes of questions and was screened out. I guess all those profile questions didn’t help! If you don’t like this screening out business, survey sites are probably going to make you lose patience very quickly. 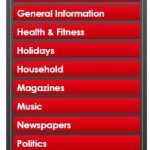 The main sites I’ve found that don’t screen you out are Prolific and YouGov. Screening out is just the most annoying issue with survey sites. Some people have reported up to 80% screen outs when it comes to online surveys – that is a lot of time wasted. However, 15 minutes later, the next survey arrived in my inbox. Very quick yet again! It offered £1.60 for a 20 minute survey. So, I was NOT screened out this time and as it was only the second survey 50/50 isn’t bad going. In fact, it is incredibly good in my experience. The survey itself was relatively enjoyable. However, this works out at £3.20 an hour had I done two similar ones. Not very good – but I’ve also experienced far worse! No, it’s not a good going rate for making good money online. But actually considerably better than many other survey sites! The following three surveys I was screened out of, I was also offered some for zero pence – which I don’t understand at all. Why would you answer a survey for zero reward!?! I haven’t seen that before. How Often Are You Sent Surveys? I have been being sent around 3-5 surveys a day and – to me, that’s a reasonable amount, but you may want to sign up to other sites if you’re up for more. I know some people have complained that there aren’t enough surveys sent out. However, this is all a bit pointless if you don’t actually qualify for them. After sticking with Panelbase to complete this review – I get screened out of around three quarters of surveys. Much like many survey sites these days, you do get the option of cashing out with gift certificates such as amazon. The £10 threshold is becoming more common and is a good amount, because this shouldn’t take you too long to achieve, (screen outs aside). What Do Other People Say About Panelbase? Panelbase has a 5 star rating on Trustpilot and that’s pretty amazing for a site of this kind. Panelbase has a lower 3 star rating on survey police right now, but a lot less reviews. It would seem that a large number of screen-outs are one of the biggest complaints, (but this is an issue with practically all survey websites). Ultimately, Panelbase has a lot of good feedback online. So many survey sites suffer with some really terrible feedback online, so to have a 5-star rating on Trustpilot?! They must be doing plenty of things right! Multiple ways you can earn. Focus group opportunities that pay more. £3 for just signing up. Good layout, easy to navigate. Regular screening out, (common issue with all survey sites). Only 20p for referrals and only by direct email. (Not much incentive referral wise!). 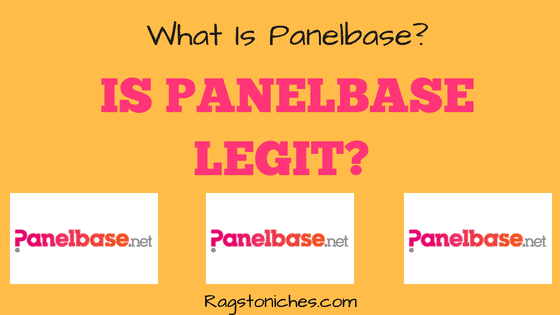 What Is PanelBase – A Legitimate Income Opportunity, Or Scam!? Panelbase is a legitimate site. It appears to have regular surveys and pays pretty well too! It seems a little generous than some survey sites – for example, I have seen plenty that may be 20-30 minutes long for less than £1 which is terrible. But at least some of these, such as £1.60 for 20 minutes, means that you can see reaching the £10 isn’t far off. Especially as you get £3 upon signing up. Although, you need to factor in that you may be screened out of a majority of surveys that you go to. Right now, my favourite awards site is Swagbucks – because you can also earn in a variety of other ways, such as just using their search engine via their chrome extension. Panelbase has a strong reputation online, with lots of positive feedback from real users. As such, it’s one of the strongest panels of its kind for UK users. What is YOUR experience with Panelbase? Let me know in the comments! Click Here For My Top Extra Income Sites! Beyond Survey Sites – Making More Online!? Many people start survey sites because they want to earn an additional income with a limited amount of effort. But the reality is that you can never generate even a half decent side income with survey sites. For the amount of time and effort that you need to put in, many people feel that they are not worth it. Many people will try and claim you can and there are also plenty of scam sites that claim you can make thousands a month – this is simply untrue. There are ways to make substantial money online, but they take real time and effort. Many people think the barriers to making money online are just too high – that you need a lot of technical experience, or other knowledge that is difficult to obtain. But, the barrier to entry is a lot lower than people think! You do need to put work in, you do need to learn skills, but it’s still possible to anyone. People that go the extra mile will reap the rewards later on. If you want real results, you have to take real action consistently. If you’re interested in learning how to make decent money online and not just the odd extra few pounds here and there, there are many ways that you can! This is where I got started. What’s your experience of survey sites? Do you think they are worth your time? !